The Roswell Chamber of Commerce is excited to announce that they will host the 32nd Annual “Rise Over Roswell Balloon Rally,” formerly the “Old Timers Balloon Rally.” This family friendly event has been a great tradition that was started by Bill Glenn and a group of pilots who decided to have a rally featuring old timers, and the Roswell Chamber of Commerce wants to proudly continue this tradition. They want all of Roswell and the surrounding areas to come out to the Cielo Grande Soccer Complex and enjoy these magnificent balloons, meet the pilots, and help them continue to make this a spectacular event that continues for another 32 years! Balloons travel to Roswell from the Southwest for a weekend of fun flying and friendship. FREE Admission!!! 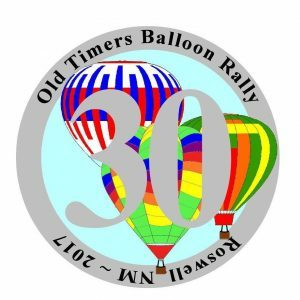 The Roswell OldTimers Balloon Club plans to host the Oldtimers Balloon Rally in Roswell, New Mexico the first full weekend of May each year. Proceeds benefit local charities in Roswell. Practice your steely gaze and dust off those cowboy boots in celebration of the Old West at Tucumcari’s Rawhide Days. 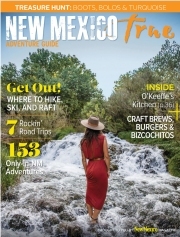 Named for the popular TV Western Rawhide, which ran from 1959–1965 and starred (the very) young Clint Eastwood and Tucumcari’s own Paul Brinegar, the event celebrates the city’s contributions to the small screen (several ranches north of the city briefly served as filming locations for the show in 1959). Take a selfie with a longhorn, enjoy music from the Next Generation Band, or compete for the title of Ms. Tucumcari Rawhide.